Eco-labels recognise products and services that respect the highest environmental standards. Eco-label award criteria ensure that products and services are fit for use and that they are permanently focused on reducing environmental impacts. 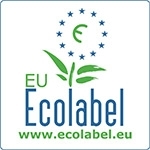 Two eco-labels are awarded in France: the NF Environnement mark for the French market and the EU Ecolabel for European markets.